Creating good stories is how companies convince preoccupied, information-overloaded consumers there is something worth their time and interest. Whether a company’s stories engage, educate, or entertain, they encourage a consumer to pause, even if for a short time. 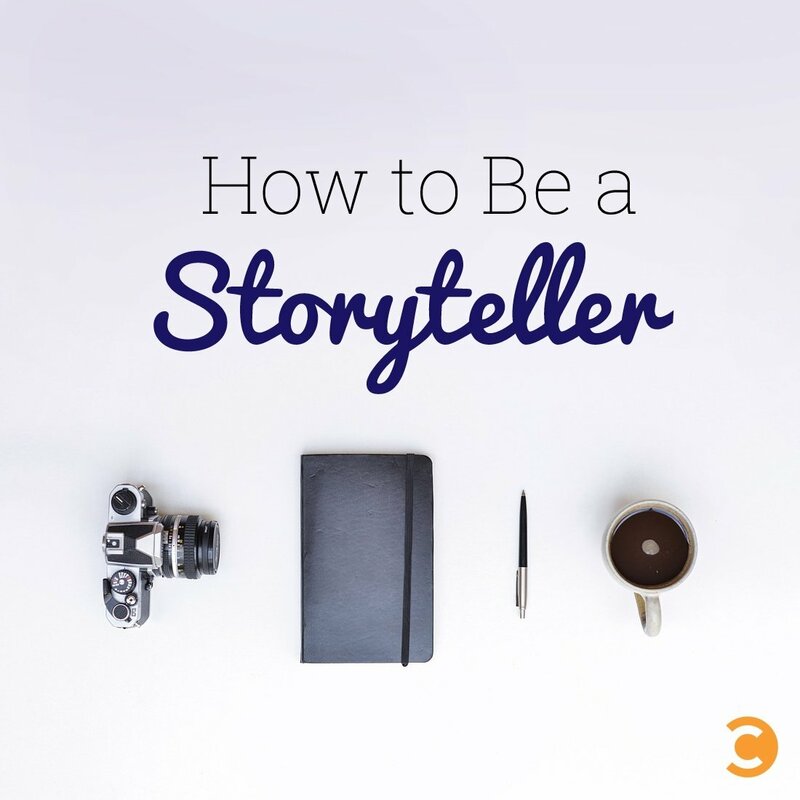 But here’s the key question: How do companies get started with storytelling? The answer: a five-step process that any company can embrace. The first and probably most important step is recognizing that every company can be a storyteller, and every company has good stories to tell. As humans, we tell stories all the time. We tell stories to our children, during sales presentations, in the dressing room after hockey games, during dinner parties, and at coffee meetings. Storytelling is an integral part of how everyone lives and connects with other people. This includes entrepreneurs who need to tell stories about their company’s history, growth, products, employees, and marketplace. What inspired you to launch your company? How difficult was it to become an entrepreneur? Are you solving a problem that you encountered? What have been the biggest challenges along the way? What are the mistakes you have made? They may seem like straightforward questions, but people love to hear personal stories about an entrepreneur’s goals, challenges, and successes. Coming up with stories is like meeting someone at a party. In many cases, people have interesting stories to tell; you simply have to ask them questions. The creation of stories is a matter of responding to questions, making observations about what you are seeing and doing, and the people you meet along the way. Think about the needs and interests of your target audiences (the people who will, hopefully, be consuming your stories). What stories would they want to hear, as opposed to the stories you want to tell them? As a storyteller, one of the key goals is connecting with audiences, so stories have to be about them and their needs and interests. You have to ask yourself, “Will this story be interesting to my audiences?” In other words, you need to take a customer-centric approach to storytelling, rather than product-centric approach. Knowing where your target audiences consume content is just as important. It makes no sense, for example, to create excellent white papers if your target audiences do their product research on Twitter and YouTube. Develop a “core story” about what your brand does, the value its products deliver, and your target audiences. This is an exercise that involves the identification of things that make you unique, different, or interesting. It is the way to establish a strong competitive positioning. The creation of a “core story” is the foundation for telling stories to different audiences in different places . Start collecting story ideas about your product, customers, competitors, and the marketplace. Like a reporter, you are looking for stories that are new, interesting, intriguing, different, or provocative. Not every idea will become a story, but having lots of ideas makes it easier for good stories to emerge. In a sense, storytelling is a state of mind and recognizing that storytelling opportunities exist everywhere. It is important to be open to new story ideas as they emerge. “Just Do It”—in other words, start creating stories. One of the biggest challenges in getting going with storytelling is taking the initial leap. At first, it may seem like a daunting task, but once the process starts, it is easy to gather momentum. It could begin modestly with a story on your website about how your startup was created. A story could be a blog post, a Facebook update with a link to an interesting article, or a photograph posted on social media. They do not need to be perfect stories. It is more important to build momentum so the storytelling process can be established. And once you start telling stories, keep going. It could be modest activity (one blog a week), but it works as long as you are consistent. One of the most important things about storytelling is that the barriers to entry are creativity, agility, commitment, and being opportunistic. It doesn’t matter whether your company or marketing budget is large or small. In many respects, storytelling thrives when it becomes an integral part of the corporate DNA. To learn more about how you can embrace the power of storytelling, you can purchase Mark Evans’ book Storytelling for Startups using the discount code STORYTELLING. Mark Evans works with startups and fast-growing companies looking to tell better stories (a.k.a. marketing). He helps clients develop core messaging and brand positioning, strategic roadmaps, and content. Before starting his consulting business in 2008, Mark worked for three startups, and spent more than 10 years as an award-winning technology journalist. Mark writes a popular blog and Canada's leading startup newsletter.